"1550 N Lake Shore Drive is the last condo building on the North end of the Gold Coast to be located on Lake Shore Drive. 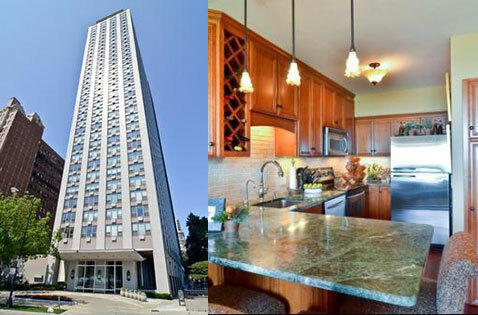 Many units have unobstructed views of Lincoln Park just outside the building entrance." 1550 N Lake Shore Drive is situated at the North end of the Gold Coast neighborhood. Residents of the building are only steps to Lincoln Park, North Avenue beach, and the lake front. Building amenities include 24/7 door staff, exercise room, parking, storage and a sun deck with panoramic views of the city skyline and lake. The original structure of 1550 North Lake Shore Drive drive was built in 1960, though most of the residences within the building have been updated with many modern features and finishes. 1550 N Lake Shore Drive allows cats and dogs. Garage parking is also available for residents and their visitors.